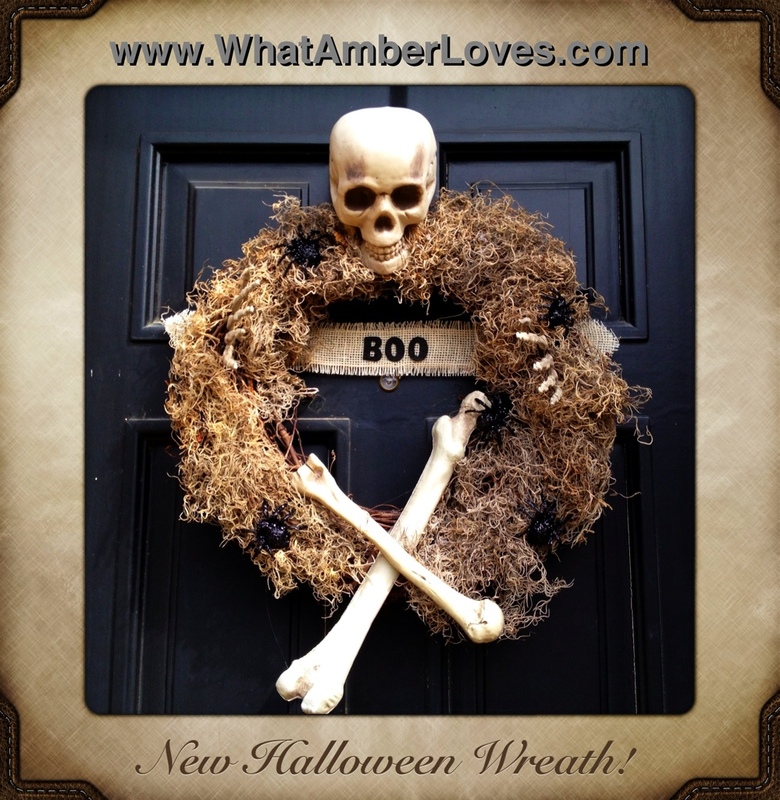 For the first time EVER, I’ve made a Halloween wreath that isn’t of the cutesy, sparkly variety! It has bones. It has spiders. It has moss, webs, and twigs. There isn’t anything orange or purple or pink or any other bright color on it. At all. It’s a first for me. I kinda like it! It matches well with the brick and stone exterior of our house, an unplanned bonus! It’s a mossy skeleton wreath! 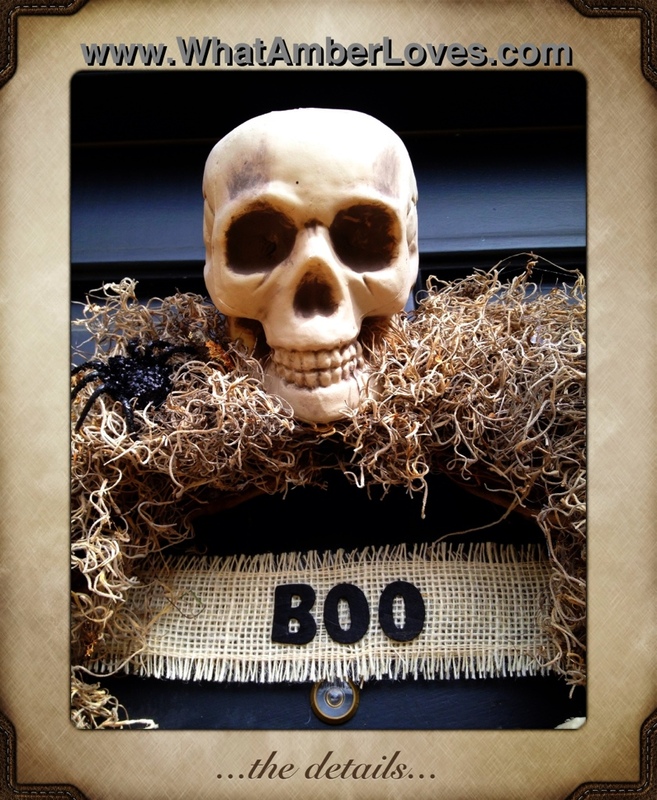 So, there it is in all its glory, my first non-cute “scary style” Halloween wreath! 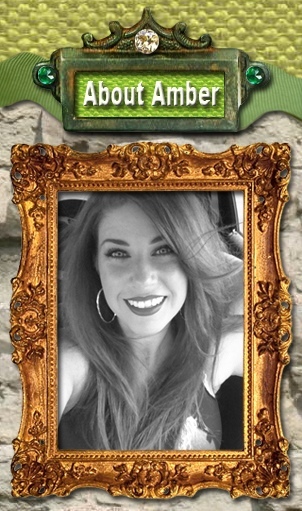 It’s already hanging on our haunted house! 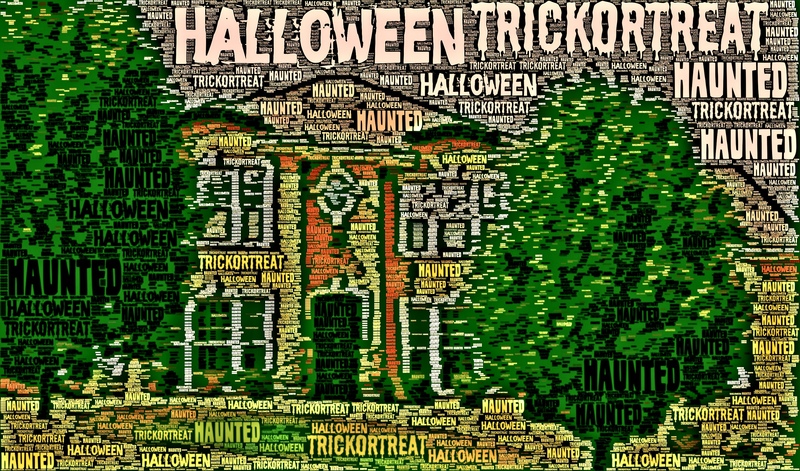 ^that is a photo of our house that was edited on the iPad using the “wordfoto” app! 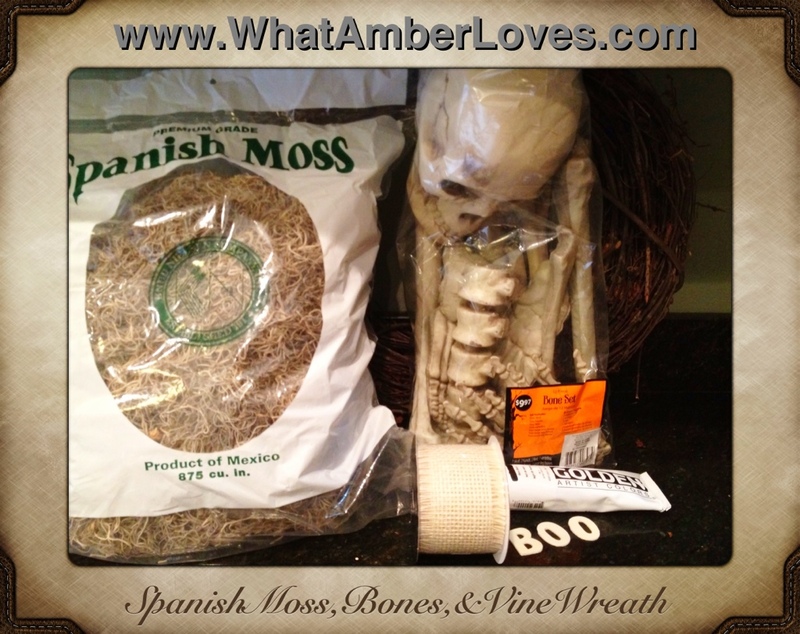 Thanks for stopping by to see my newly assembled mossy skeleton wreath! What do you think? As always, feel free to re-post an image, pin it, tweet it, fb it, or whatever, so long as it clearly links back to here! If you do feature this project on your blog, site, or ‘zine, please, let me know and I’ll add your link into this post!